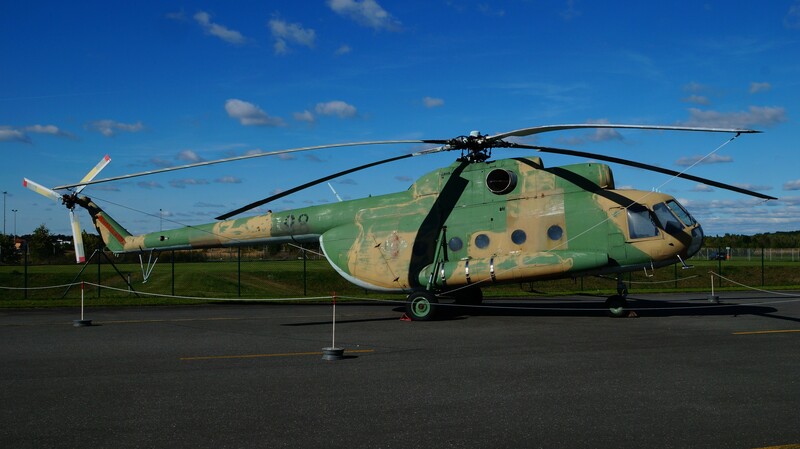 An armed variant of the Mi-8, designated 'Hip-C' by NATO; the main rotor is upgraded from four blades to five. The main uses of the combat-transport helicopter are attacks with rockets and laying minefields via conveyer belt. The cabin has a passenger capacity of 24 troops in addition to three crew. Production began in 1965. 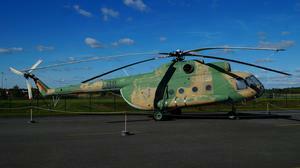 There is also a civilian version of the Mi-8T 'Hip-C'. 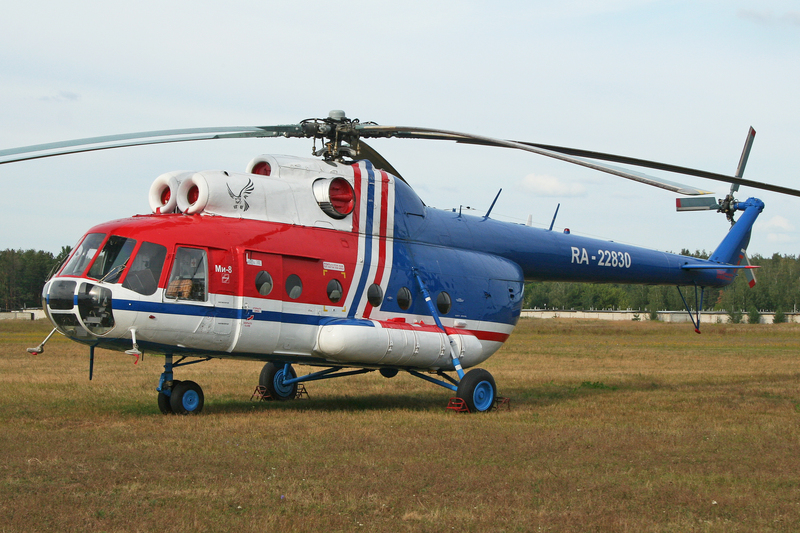 Resources related to the Mi-8T (Military), provided by the Vertical Flight Society. Resources related to the Mi-8T (Military), provided by public sources across the internet.